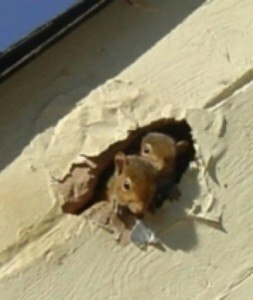 Squirrel removal in Ft. Worth is one of the most common problems Critter Control of Ft. Worth encounters in that area. Many homeowners don’t recognize they have a squirrel problem until their home is infested. Others feed the small numbers of squirrels that enter their yards, not knowing this attracts entire dens of the creatures. Fortunately, squirrel removal in Ft. Worth is an easy task for our animal control officers and other experts. Let us teach you the basics of squirrel removal. Most people say they know how to identify a squirrel. However, there are 25 different squirrel species in the United States – 23 ground types and two species of flying squirrel. It’s not necessary to know a squirrel’s specific type to achieve squirrel removal in Ft. Worth. However, it helps if you can identify different types, and our professional can. Keep in mind that squirrels are both quick and nocturnal. Most squirrels have large, bushy tails that contribute to their growth of 1-2 feet. They come in many different colors, including gray, brown, reddish-brown, and in rare cases, white. Some squirrels may have spots or stripes. Flying squirrels are generally smaller than ground squirrels and have webbing on their limbs to help with climbing. Flying squirrels may also have larger eyes than ground squirrels. 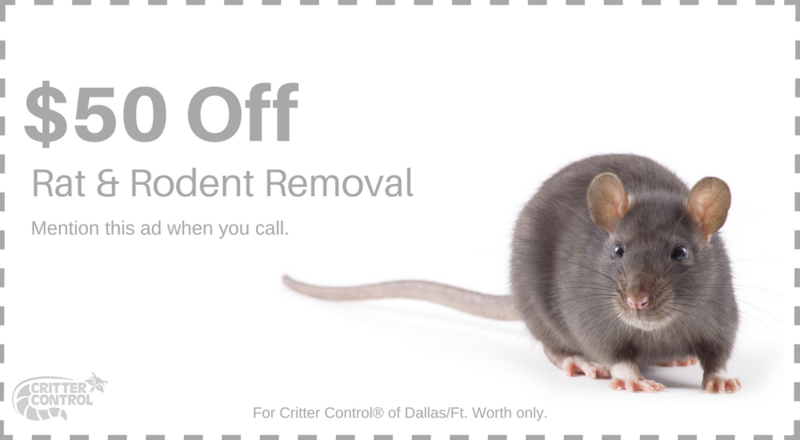 Squirrel removal in Ft. Worth is necessary because squirrels cause plenty of damage to yards and homes, both in the greater city and suburbs. For example, squirrels gnaw on insulation and wiring, especially in attics. They often seek out human food sources, spending much of their time in and around garbage cans. This exacerbates the diseases squirrels carry, which can be transmitted to humans if they are bitten or try to handle squirrel waste. If you suspect a squirrel infestation, contact Critter Control immediately. We will humanely remove the squirrels and help you form an exclusion plan.